Dominique and Jutta and I embarked on a 3-hour randonnée today. 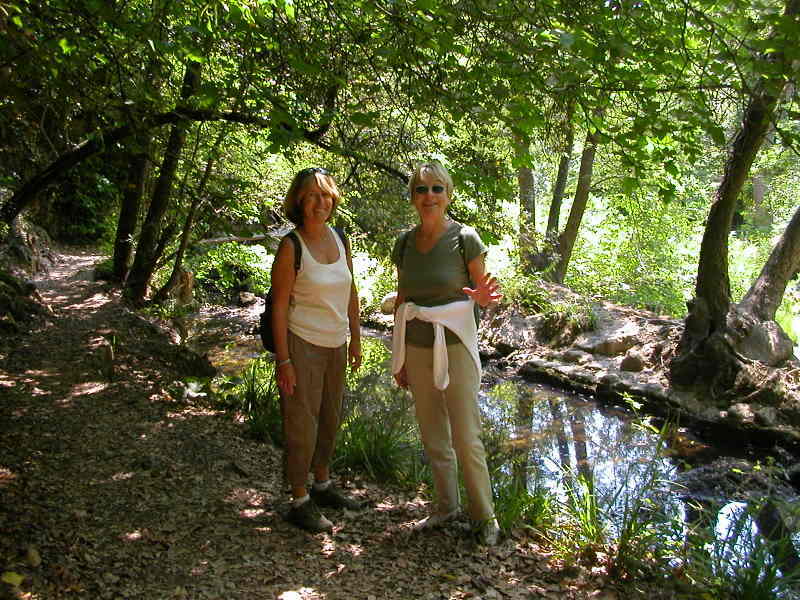 We drove two cars, and parked one at Valbonne, and then we took the other one and parked it right in the village of Biot, where we started our hike. We followed the meandering River Brague, under the shady trees, along the mostly flat trail which sometimes crossed back over the river << à gué >> (by way of small bridges of stone or planks). We found some nice flat rocks hanging over the water to sit and enjoy our pique-nique. For some reason, sandwiches always taste so much better during a hike, especially on a crusty baguette. 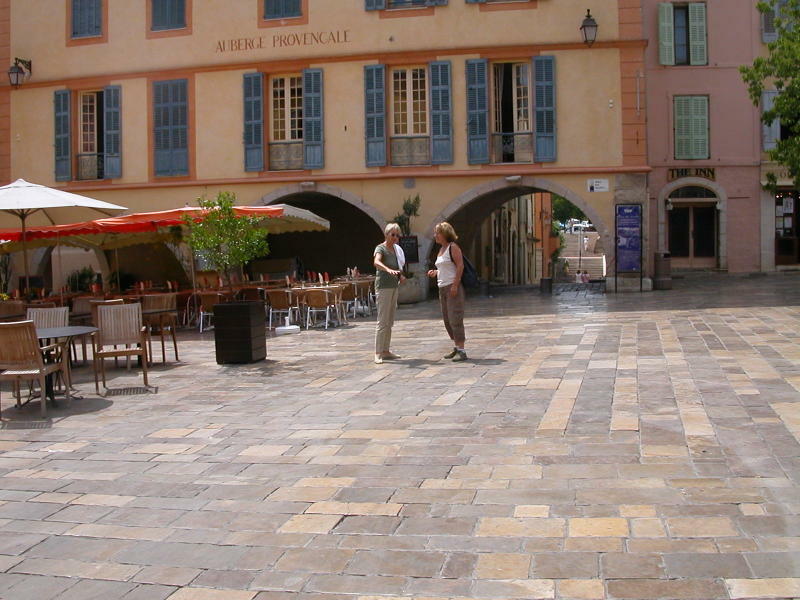 At the end of three hours, we were right in the middle of the Main Square in the charming village of Valbonne, where we stopped and had something cold to drink before heading back to Biot to pick up the other car. Such a nice way to spend the day.